Two case studies shed light on the issues to consider before making a purchasing decision. As the transition to ICD-10 edges closer, hospitals are being bombarded with information on how computer-assisted coding (CAC) can ease the process. Conference exhibits, sales calls, and direct mail campaigns can make it feel like CAC vendors are everywhere, ready to spring with unassailable proof of why their solutions are more thrilling than a summer blockbuster. Needless to say, selecting a CAC system can be intimidating. The technology reaches deep into systems well beyond billing and coding, making the decision even more nerve-wracking. The wrong choice can result in disgruntled end users, poor adoption rates and, ultimately, a costly mess. Eminger recommends forming a multidisciplinary team to handle the selection process including, at minimum, the HIM director, the coding manager, coding team leads, the clinical documentation improvement (CDI) lead or manager, the chief financial and information officers, and the IT team. It’s also important to have the coding team review workflow objectives. Bringing together a multifunctional team was the first step in the CAC vendor selection process for Adventist Health System in Altamonte Springs, Florida. Director of health information services Migdalia Seda-Hernandez says HIM, information systems, and administrative teams were involved from the outset. The evaluation process consisted of interviewing the clients of three prospective vendors and conducting on-site visits. Team leaders discussed the project approach and observed coders in action on the CAC system. They created a findings report, which included their recommendations, and presented it to the senior finance team, which eventually forwarded the final recommendation to senior leadership. Ultimately, Dolbey’s CAC offering emerged as the top preference. The painstaking selection process already has paid off for Adventist. Previously, HIM ran a daily batch to submit claims to the scrubber software. Coders then had to review accounts again and make any corrections that appeared on the edited report, a process that added an average of two to three days to outpatient coding. Post-CAC, the number of coding-related edits listed on claims scrubber reports has declined by 90%. During any CAC evaluation, several criteria should be considered, starting with the number of platforms that will be utilizing it. Needs will vary among inpatient, outpatient, ancillary departments, QA, and CDI interaction, so it’s important to gain a clear understanding of all of the technology’s capabilities. Adventist facilities utilize CAC for inpatient, observations, emergency department, same-day surgery, and outpatient visits. To help reduce overcoding, the health system worked with Dolbey on identifying documents and document headings that are normally evaluated by a coder during the coding process. The order in which documents are presented has been reorganized based on coder preference rather than the order in which they are displayed in the EMR. Also identified was the importance of presenting coders with information contained within the nursing documentation. Intubations, bedside procedures, the presence of ulcers, body mass index, and heart rhythm now are organized in tables and presented during the coding session. Adventist relies on its CAC system to drive numerous process improvement initiatives, including documentation and case mix improvement, retrospective coding audits, autocoding, and dual coding. As beneficial as it has been so far, the CAC rollout has not been without challenges. Among the most significant is getting coders to make the transition from coder to auditor. Coders are accustomed to reading the medical record then utilizing the encoder logic for code selection and validation. However, in the new system, natural language processing suggests codes for terms or phrases found within the document but can’t associate them with more specific words or phrases that appear in a handwritten document. “It relies on the coder to associate these terms and edit the code suggested by the CAC to the correct combination code,” Seda-Hernandez says. The objective was straightforward. “For us, the initial selection criteria amounted to a replacement of the current capabilities that we had at the lowest possible cost while providing an integrated system for case management, CDI, coding, and medical records to work within,” Forrester says. For its first CAC solution, the hospital sought a product that would help bridge the gap to ICD-10. Specifically, it wanted the technology to provide both ICD-9 and ICD-10 codes. Also important was a solution that would not only deliver productivity increases but also help offset any productivity declines after the move to ICD-10 and the accompanying shortage of coding resources. Hamilton ultimately settled on Precyse’s CAC offering. Even though Precyse is a smaller vendor, Hamilton was comfortable with the CAC solution based on its successful use with the vendor’s outsourced coding clients. The final decision wasn’t made without first consulting Precyse reference sites as well as local professional networking channels—an important step that was complicated by Hamilton’s status as an early adopter. “Very few even knew what we were talking about at the time,” Forrester says. Mark Hendricks, MBA, RHIA, vice president and commercial general manager at Precyse, expands on the importance of documentation, noting that it is important for any hospital to view CAC as an enterprise decision more so than an HIM or HIM-HIT decision. In particular, hospitals must ensure that the clinician view is represented because clinical documentation can make or break any implementation. As such, hospitals should partner with CAC vendors that clearly understand the documentation process and how EMRs feed into the CAC system. Documentation is being created in multiple systems using multiple methodologies, and it all ultimately feeds into the CAC application. During the selection process, providers should try to obtain answers to several key points. Ask for an estimated completion date. Try to determine whether the vendor truly understands how to implement CAC. Too often, Hendricks says, vendors underestimate both the time and complexity of the process. Also of note is whether the system uses natural language processing. If so, how is it being applied to CAC? How is the accuracy and quality of the natural language processing engine measured? How does the system assign work to coders to ensure it matches their available skill sets? Hendricks says the success of CAC will come down to one factor: facility readiness. If a hospital’s documentation is inadequate, it won’t matter which system is deployed. When it comes to viewing computer-assisted coding (CAC) in action, there may not be much action at all. Many solutions are not demonstrated live or they’re shown in limited-deployment situations. This makes visiting or talking to a reference site a critical step in the evaluation process. • How are you deploying CAC for inpatients? • Has it increased coder productivity? • Has it improved coding quality? • How often do you see information pulled that is not pertinent to coding? • Have you been able to autobill any accounts? • Do you have to use the same codes on multiple accounts (eg, physician, anesthesia, hospital)? If so, does it pull accurately? • Are you able to use CAC to assign evaluation/management levels? If so, how and is it accurate? • Has CAC increased coder productivity? • Can you autobill any accounts? If so, what percentage of studies can you autobill? • How long after install could you autobill? • Which departments will utilize CAC? • Which coding or clinical documentation improvement (CDI) processes are expected to be enhanced or added? • How does the CAC system determine the suggested code? Is it through natural language processing, word spotting, structured input, or statistics? • Should the CAC system suggest codes or highlight them? • How will the CAC system integrate into current HIM functions (eg, types of documents it accepts)? • What are the CAC system’s interface and other technical requirements? • What features are must-haves? • What type of management-reporting capabilities are desired, and to what extent can coder workflows be created and/or customized? • Which code sets should be included? • Is ICD-10 available? If not, when? 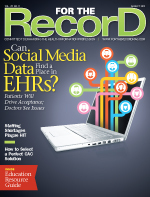 • Should ICD-9 be in a separate system from ICD-10? • How does the vendor roll out CAC (ie, phased or big bang)? • Should coding occur in a dual environment? • Should current coding queues be able to be integrated? • Should CDI be a separate module?